I told him The Bear. And that’s what I had to prepare myself for when we descended upon Traverse City, Michigan to tackle the #16 most difficult course in the country and the #72 Top Public Course. First off, as I’ll say about almost every other round I’d had on the Golf Road Trip up to that point, the weather was absolutely unbelievable. 75 degrees and sunny with just a little bit of wind. Who knew mid-October in Michigan would be so nice?? Upon rolling into Grand Traverse Resort and Spa I was pretty surprised at the size of it. I really didn’t know what to expect. What we found was a collection of multiple bars/restaurants, shopping, exercise facilities – you name it, Grand Traverse had it. We ended up staying here for two nights, and we’re treated to some spectacular service. Our meal at Aerie (which while slightly rough around the edges) was a fantastic with great service. The attached sports club was also a pretty welcome surprise. We had full access to tennis courts, a gym, and pools complete with waterslide and water-basketball. I personally didn’t get to try the spa, but my companion on the trip Dan, said his was excellent. Bottom line if you whether you’re looking for a place to sneak in a couple rounds while on vacation with the family, or need a place for you and your buddies to golf and get into a little trouble – Grand Traverse can cater equally as well. That being said, let’s move onto the course. Greens fees: $50-115 depending on time of day/year and whether you’re a resort guest or not. The Bear measures 7,078 yards from the tips, but we felt a little bit more girly and played it from the more manageable white tees at 6,129. I’m not going to lie, I’ve become a little frustrated with my game on this trip, because what were mid 80s rounds 6 weeks ago are now mid-90s or worse. I knew The Bear at Grand Traverse was going to be one of the more difficult tests, so I had to prepare myself mentally. Hitting the fairways actually isn’t real hard to do. They are wide open, but if you miss, then you’re in trouble. Every fairway seemed to be elevated 3-6 feet, and if you missed you rolled off and into tall rough and links style moguls. Where Pete Dye places bunkers when you miss the fairway, Jack Nicklaus seemed to place rough and mounds – which believe me, can be just as difficult. So while tee shots can be fairly benign, what you really need to watch out for are the approach shots. 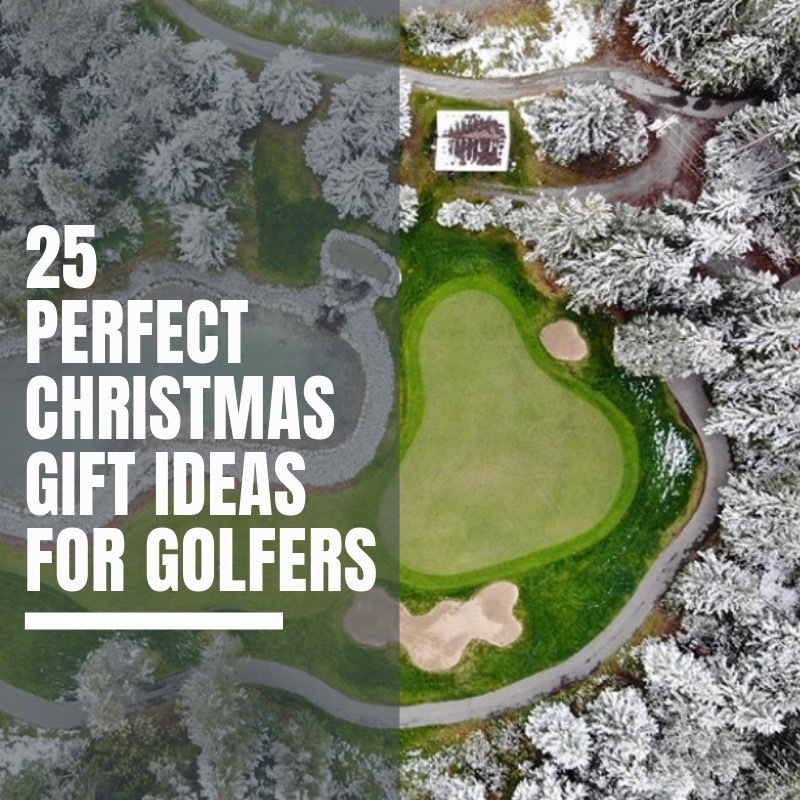 On just about every hole you’ve gotta deal with a forced carry, water, or deep bunkers. If you’re approach game isn’t on, it’s going to be a long day for you. This course was built during an interesting time in the mid-80s when all the major designers were trying to out-do themselves with difficult courses. For that reason, many people have strong opinions on these types of courses. Personally, they’re not my favorite, but I was very pleasantly surprised by the Bear. For as difficult as it is, Jack also worked in quite a few unique and fun holes that makes this worthwhile for the average duffer. I was feeling pretty good before the round, I was coming off my 43 on the back of Arcadia Bluffs which (embarrassingly enough) was the best of the trip so far. My warmup was great, and I was ready to see just what The Bear has to offer. The first hole is a pretty good representation of what a lot of the course is like. You’ve got the drop off in the rough, a wide fairway, and some deep bunkers to contend with around the green. Overall not an overly difficult start to the course. Like other Nicklaus courses I’ve played (The Bull, Pronghorn) he likes to ease you into things. This one scared me a little. I was starting to think I was back at Erin Hills with the giant uphill tee shot I was facing – but then I found the approach is even scarier. Unless you bombed your drive, you’ll have a long iron in with a forced carry over rough and deep green side bunkers. I have a lot of respect for the Bear, so I laid up and happily took my two putt bogey. The course crosses the road and really sends you out into the middle of nowhere here. Holes 3-7 really make you feel like you’re out there on your own, which his always a good thing on a golf course in my opinion. Plenty of room to bomb your drive, but then the trees come in and you have a big decision to make. I once again laid up and was rewarded with a par. The green here wasn’t the best conditioned on the course, due to the tall trees surrounding it, but this was one of my favorite approaches during the round. A great risk/reward approach shot. Forced carry over marsh all the way to the green. Don’t be fooled, it looked like there was sand up there – there wasn’t, it was just the wood bordering the green. I learned this when I walked up and realized the loud thunk I’d heard was my ball hitting the wood and bouncing back into the marsh. Generous drop zone. One of the most scenic holes on the course. Tough approach with water around the front and pesky mounds and deep rough to the left. As the 17 handicap this is one of the easier holes on the course. Bomb the drive and try and stay to the center right as much as possible. A short-ish par 4, that plays slightly uphill. The fairway ended about 230 out from the whites, so 3 wood was the right choice. As with most of the greens on this course there are multiple tiers, and par is never a sure thing even after a GIR. A fun hole with a terrifying approach shot. Once again, plenty of room off the tee, but you’ll have a serious approach if you want to go at the pin. My 8 iron barely cleared the water, but left ended with a much needed par. This is the kind of hole I have a love/hate relationship with. It’s beautiful, and forces you to make a risk/reward shot, but if you mishit, you’re screwed. There were a few similar holes where the green gets tucked behind the water like that. “When did we end up at TPC Sawgrass?” I asked Dan. While not quite as dramatic as the famous par 3 in Florida, there’s a lot of water surrounding #9. Don’t try and be a hero, just get it on as this was one of the flattest greens on the course. Watch out for the bunkers on the left, but with a solid drive this could be one of your best birdie chances on the course. A scary hole from the tee, because you can’t really see where the fairway goes. Stay just right of the mounds and you’ll have a short approach in. Back into the trees and a much tougher than it looks hole. At only 355 I thought this would be a surefire hole to keep my string of solid holes alive. But my 3 wood into the trees thought otherwise. Just put the ball in play, iron or hybrid is probably smart. Another water carry on the approach, as you can see in the photo. This should be the second easiest hole on the course. I’m just going to get this out there: I took a 9. This is where everything really started to unravel and The Bear got it’s claws in me. A shortish uphill par 4, just put the ball in play and par should be pretty attainable. This is another favorite. What you see is what you get. Downhill par 5 with water surrounding the green. The farther left your 2nd shot is, the less water you’ll have to contend with. I actually wasn’t a huge fan of this par 3 – probably my least favorite on the course. Wide open and relatively long, I just didn’t find it that interesting. A great finishing hole, once again this is at least the 3rd green tucked into water and forcing a carry. It can all be won or lost here. I dropped my 6 iron to within 20 feet and my buddy Dan who was a stroke behind went in the water. Victory! The Bear is a straight forward, solid test of golf, set amidst beautiful Northern Michigan countryside. 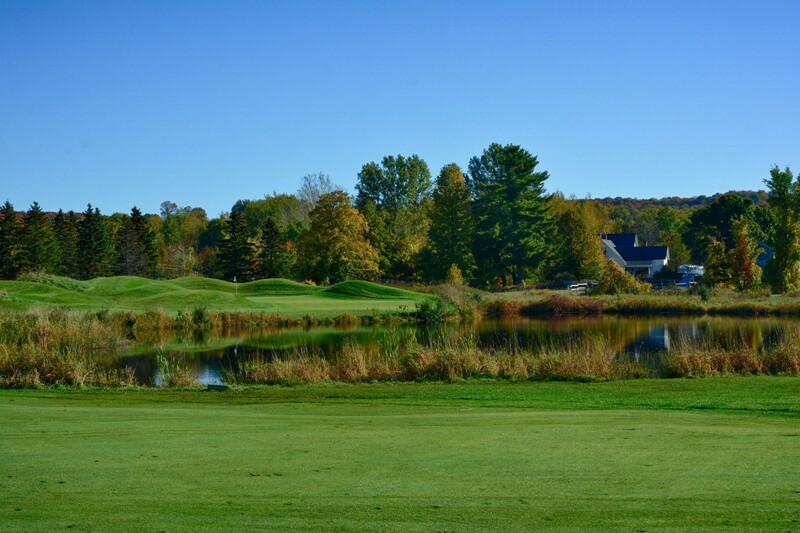 It’s hard, it’s fun, and it’s probably not going to be a course you play all 3 days on a golf trip to Grand Traverse, but it’s absolutely worth playing at least once. I ended with my highest score of the trip so far (which is saying something), but I’ll absolutely look forward to getting back out here again. BTW, the people in this region are some of the friendliest you’ll ever meet. This totally surprised me both at Grand Traverse and Arcadia Bluffs. There is SO much good golf in northern Michigan. Wish I could have stayed for another 2 weeks and played more. And The Bear is one that’s definitely worth checking out. The Bear is definitely a great course… and a tough one.. I think Northern Michigan is one of the best places to play golf in the country. Some other great courses are Bay Harbor, Arcadia Bluffs, True North and Cedar River… just to name a few. I was blown away by the quality of golf up there. Have reviews on the way for Bay Harbor and Arcadia Bluffs. I played it in the 1990s., when I was in my 20’s. I’m 51 now. Still the highest score I’ve posted on any course. Being long doesn’t mean much, it probably hurts you here. Play smart or you will be in trouble. Looking forward to playing it again to see if age = wisdom!